No, I don't mean Thanksgiving. Don't be so self-culturally-centered. 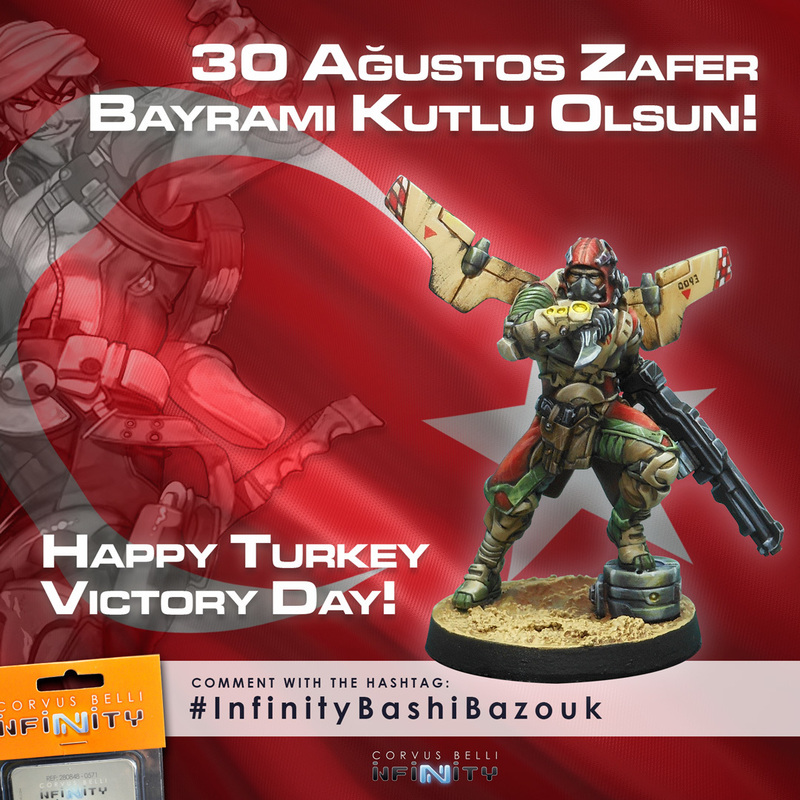 I mean Turkey Victory Day! As is tradition for Corvus Belli, when there's a National Day going on, they have a giveaway. Today's no different. As is usual with these contests, it's pretty easy to enter. Just go to the proper Facebook post or head to Twitter using the hashtag #TurkeyVictoryDay while answering, "Why the name Bashi Bazouk is a pejorative term among the people of the space?" The winner will be drawn tomorrow. Good luck!